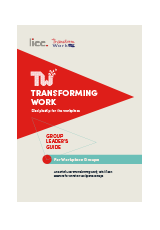 We've now designed a version of our popular resource specifically for workplace groups. Check it out! 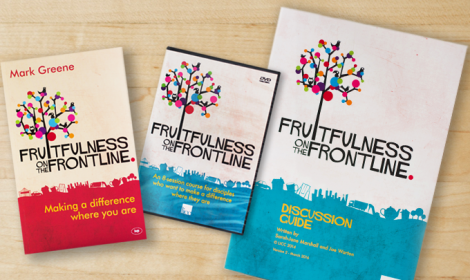 Encourage each other to live out your faith in the workplace with this powerful group series, including discussion videos, a participant app, and a leader’s guide. We don’t often discuss how we can glorify and serve God in our particular industry, role, or workplace. But the Bible is full of stories about people in the workplace: Joseph, Ruth, and Daniel, to name but a few. Entrepreneurs create jobs, writers communicate truth, architects, engineers, and builders provide safety and shelter. Beyond doing good work that benefits others, we can also change the culture and atmosphere of our workplace. We can bless our bosses and co-workers. Working Christians have so many opportunities to show and share God’s love and flourish in their faith. Transforming Work allows you to gather with other working Christians to explore the biblical view of work and how to practically apply it in your own life. It provides exercises for examining your situation through different frameworks and to discuss with peers how you can make a difference at work. Between gatherings, the app gives ways to reflect, try things out, and pray, leaving time for seeds to grow, discoveries to be made, and for God to do what only he can do. 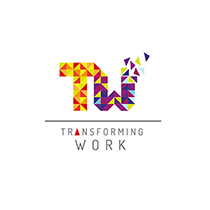 Transforming Work is like no other workplace programme in its depth, practicality, and application. Its eight extended sessions can be spread over eight weeks, eight months, or even a year – depending on the pace your group wants to take. Accompanying each session are materials on the app for going deeper and preparing for the next session. How can I do good work? How can I flourish at work? How can I influence the culture of my workplace? How can I improve relationships at work? How can I tackle workplace issues with biblical principles? How can I remain fruitful over the long-term? Starting a group couldn’t be easier! All you need is a leader’s pack, the app, and a group of six to twelve people interested in discussing how God is with them in their workplace. 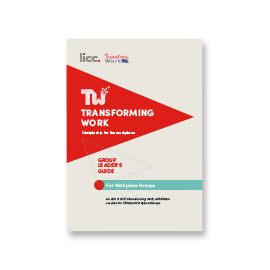 The Leader’s Pack contains all the materials you need to lead a Transforming Work group. Ideally, everyone in your group should have a copy of the app which helps participants dig deeper and prepare for the next session. The app is free to download, while the full content can be unlocked for 99p in-app. For those without a smartphone or tablet, access to a web version is available for purchase. 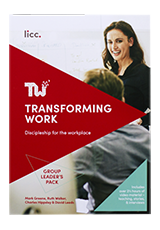 We've designed a version of Transforming Work specifically for workplace groups. Download it for free below, and use alongside the Leader's Pack.